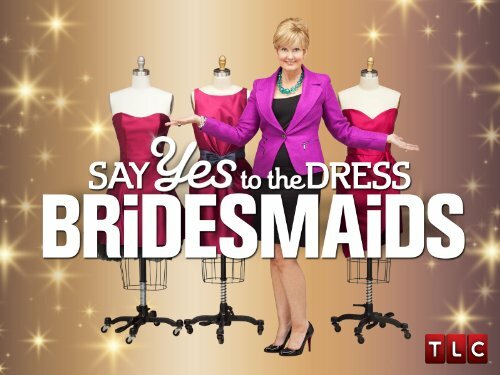 Ferg Family Adventures: Wedding Wednesday: Bridesmaids' Dresses! I don't know about you, but there's nothing I love more than searching through a bunch of taffeta to find some ugly dress that somewhat looks good on 6 different body types. We made several trips to J. Crew (I was determined to have their dresses be from that store!) until I finally said screw it and went to David's Bridal (as much as I hate that store) and picked out a sweet $99 dress. Let's back up....I knew I wanted navy dresses because I felt like that was a classic and flattering color. Also, I knew I wanted the dress to be something the girls could (hopefully) wear again. J Crew's taffeta was too light (it was more "royal blue" than "navy")...and too shimmery! Then, the cotton cady material was the perfect shade of navy, and not too shimmery, but there were NO styles that were cute/flattering/not hideous!! So that was trip 1....THEN, we decided to go back to J Crew a few months later when they got their fall collection in, to see if there were any new cotton cady designs that were a little more flattering....and there weren't. Heartbroken that my bridesmaids dresses were probably not going to be from J Crew, we ventured to a bridal shop to see what they had to offer. We found not one acceptable dress. Ready to give up, I went--by myself--one Sunday, randomly, to David's Bridal. I know what you're thinking--EW, David's Bridal. I KNOW. But I was getting desperate here!!! 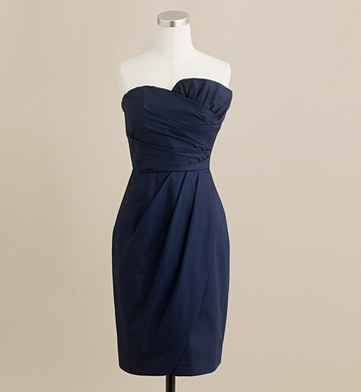 I found a cute strapless cotton dress (in the "just right" shade of navy)...and BONUS, it even had pockets!!! I tried it on, thought it fit fine and would look great on everyone....check, check and go. Best part: IT WAS $99!!! You can't beat that!! So glad THAT part of wedding planning is long behind me!! My girls are going to look so purdy in their pink shoes (that's a whole other story) and their pretty pink flowers!! First of all! It's a brave decision to fix the wedding on Wednesday. Some of the bridesmaid dress samples are shared is really amazing. The wedding planner iPad app will be helpful and play as an assistant role while planning your wedding.